I received my sampler pack of Sophia comfy sport today & am very happy with my choice.The colours are just lovely & I’m hoping they will crochet well.Worth the wait all the way to Australia,thank you knit picks for the wonderful range of yarns & colours available. I bought a value pack of Brava Sport and the colors are gorgeous. The yarn is nice and soft. Everyone that sees the colors just loves them. 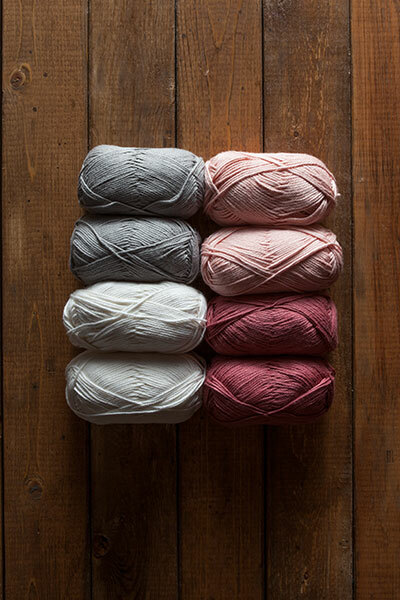 I got my order today and I got 3 sampler sets and I can't wait to crochet something beautiful with these gorgeous soft colors!!! I always choose Knitpicks for big projects the sampler sets have a great color combination. Perfect! Gorgeous colors and yarn!!! I came back to buy 3 more sets! The pinks are definitely corals but I love both!! !